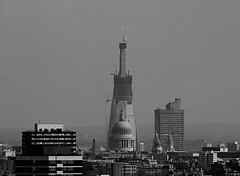 shard heaven, a photo by thehutch on Flickr. Each day of our lives is like a new building block on the foundation of our childhood. We can build whatever we choose, in whatever way we want – yet what do we choose? What is it we seek to complete? An athlete knows that he seeks the finish line, to beat the competition and to wear the victors crown. What about your life – what do you hope to achieve? What are you seeking? What are you building?